Discussion in 'Hustles, Freelancing, Bootstrapping' started by Sazas23, Jul 19, 2018. 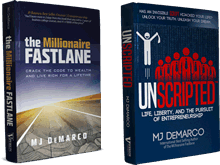 Hello everybody, I just read The Millionaire Fastlane and I have to say it is simply amazing. Completely opened my eyes about work and life. So obviously I want to jump to the Fastlane as soon as possible, but being only 21 and still, in my university second year I don’t have the resources to do big things right now. My main objective right now is to finish my university and get my computer science degree. But the thing is my family is in quite though position right now because my dad’s business failed and they can’t really support me anymore, because they are having a hard time themselves. I need start earning some money just to sustain myself until I finish my university. I have around $1000 in savings. My plan right now is to invest in some Udemy courses so I would learn specific skills. After that, the plan is to try and freelance, so I could sustain myself throughout the university. The question is: which work skill or specific Udemy course would you recommended to learn right now which would help me sustain my self until I figure what to do next. I tried to study the market a bit and I’m leaning towards digital marketing. we could give you a recommendation but ultimately its your own research and your own interests that will enable your success or failure. If you are leaning towrads digital marketing then start there; Udemy courses are now commonplace and really dont offer much of value unless something specific or basic primers. perhaps consider udacity programs which are at the forefront of major technological breakthroughs and revampments of an archaic system. This may be well worth more of your money then some udemy ones. where will you find work? have you looked in these channels to see what the market wants? for your future sake in business, research and market analysis are a key step that cannot be skipped! run the numbers and let them tell you what to do. go deeper into your research. 'why?' are you leaning digital marketing? what do the numbers say? what is your potential ROI? what other options are there? what are their risks / costs vs their rewards? math and a desire to burrow deeper are your friend! math and a desire to burrow deeper are your friend! 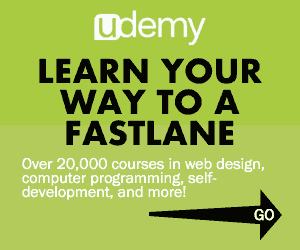 The Udacity programs look amazing, but I would be broke if I enrolled in one of them. The price of any single program is all of my savings. What are you good at? That should guide your decision making process. It does no good to try your hand at copywriting if you're terrible with grammar. Also not worthwhile to go into programming if you're terrible with math. You can make money with virtually any skillset, but only if you're capable of learning it well enough to get paid. You mention digital marketing. I too gravitated towards that, but learned that while I'm competent at some aspects, I'm not good enough at all of them to be top 1%. You must be good with copy, design, data analysis, branding, being detail oriented, and sales. If you're capable with all of those things, then check out Isaac Rudanksy's course on Udemy for AdWords. It's top notch and had something like a 50,000% ROI for me.